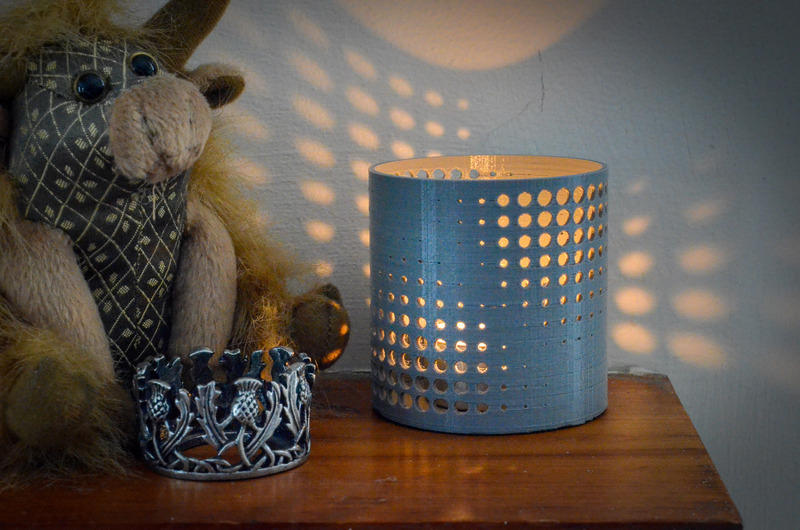 Now that the days are getting shorter, it may be a nice home decorating idea to create a decorative candle holder. 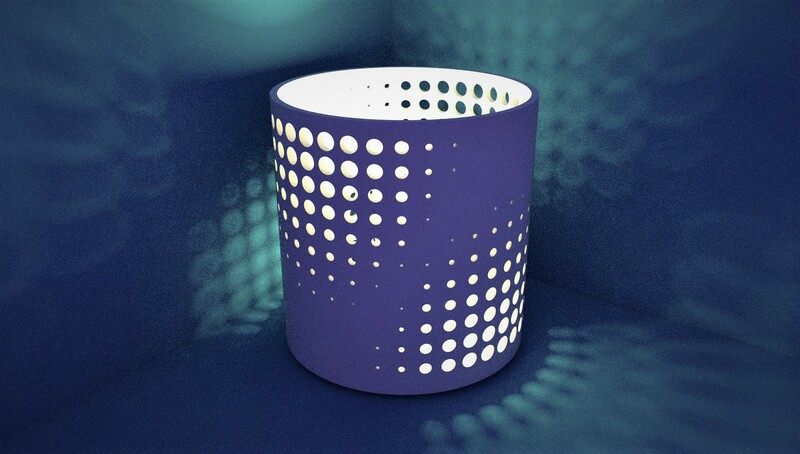 Having the powers of SketchUp and computational design methods as well as 3D printing at our fingertips, it does, of course, make sense to create something more interesting than just a boring lampshade. This brief example uses the patterned panel exercise from Chapter 7 to create the basic geometry. Of course you can replace the sinusoidal wave pattern easily now with another beautiful function, or you could even have the cutout pattern generated based on colors in an image, which allows you to make it look like a logo, landscape, etc. 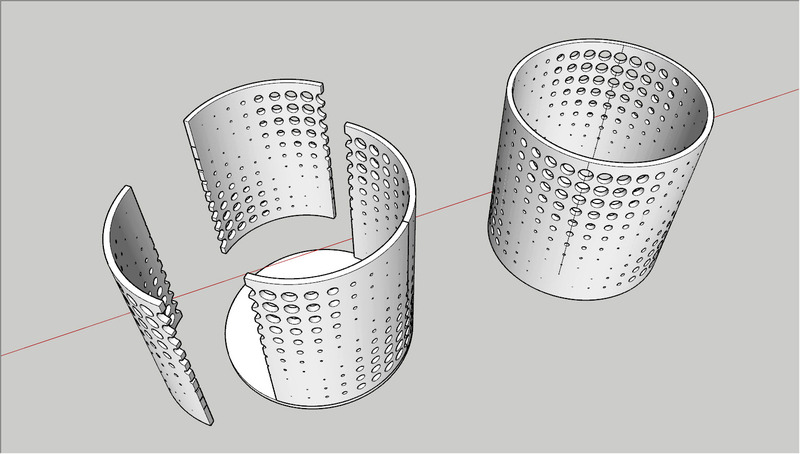 Since the resulting shape needed to have the pattern cut into a curved surface, there were basically two approaches: 1) create a curved surface and place the geometry onto it by arranging it radially (and then subtracting it), or 2) creating the panels flat and then curving them. Also, this can be done on flat faces (which then requires radial extrusion using e.g. the Joint Push Pull tool) or on already extruded faces. 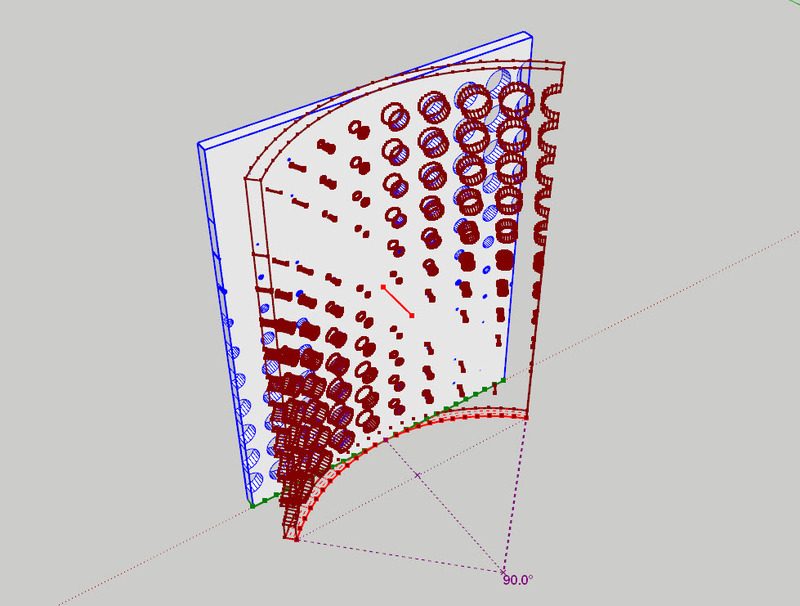 I decided to go with planar but extruded panels as a first step to make geometry creation simpler. Since my pattern consisted of repeating panels, it was actually quite easy to break it up into quarters and just combine those. 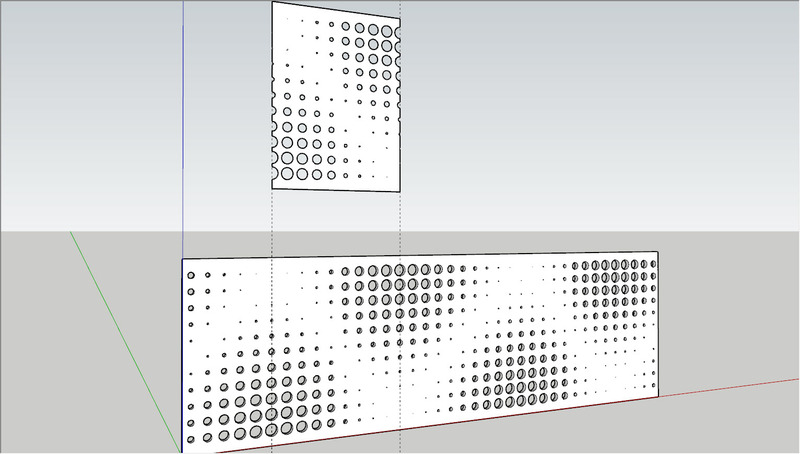 The image above shows the panel “unit” that I generated. After extruding it, I started the TrueBend tool, which allowed me to enter the exact angle: 90 degrees. Since I modeled carefully, each panel was a solid (see Chapter 6 for details on that) and I was able to combine them all using SketchUp’s Solid Tools (it’s often better to do this one by one for more complex models like this one). The result is shown on the right in the picture above, which (despite some extra lines that I could still smooth) is indeed a 3D-printable solid. The image below shows the final, 3D printed object on our mantelpiece.